Let me repeat: Jessica Dawson‘s piece for Strategy Bridge is an important article, meaning one with which I largely, emphatically agree — a must-read. There is a blind spot in U.S. joint doctrine that continually hinders operational planning and strategy development. This blind spot is a failure to account for critical relationships with a person’s conception of god and their community, and how these relationships impact the operational environment. Lapido, Venerating Putin: Is Russia’s President the second Prince Vlad? Lapido is essentially countering the same blind spot at the level of journos, and hence the public conversation. Understanding religion and society’s role in enabling a society’s use of military force is inherently more difficult than counting the number of weapons systems an enemy has at its disposal. That said, ignoring the people aspect of Clausewitz’s trinity results in an incomplete analysis. Essentially, war is fighting, for fighting is the only effective principle in the manifold activities designated as war. Fighting, in turn, is a trial of moral and physical forces through the medium of the latter. Naturally moral strength must not be excluded, for psychological forces exert a decisive in?uence on the elements involved in war. One might say that the physical seem little more than the wooden hilt, while the moral factors are the precious metal, the real weapons, the finely honed blade. Indeed, my HipBone Games are played on graphs as boards, with conceptual moves at their nodes and connections along their edges, see my series On the felicities of graph-based game-board design: twelve &c.
My specific focus, games aside, has been on notions of apocalypse as expectation, excitation, and exultation — in my view, the ultimate in what Tillich would call “ultimate concerns”. I could quote considerably more from Jessica Dawson’s piece, but having indicated some of the ways in which her and my own interests run in parallel, and why that causes me to offer her high praise, I’d like quickly to turn to two areas in which my own specialty in religious studies — new religious movements and apocalyptic — left me wishing for more, or to put it more exactly, for more recent references in her treatment of religious aspects. They are granted authority and thus power over the people around them through the moral force of pseudo religious declarations. Some ISIS fighters are no doubt more influenced by mundane considerations and some by religious — but there’s little doubt that those religious considerations are anything but “pseudo religious”. Will McCants‘ book, The ISIS Apocalypse: The History, Strategy, and Doomsday Vision of the Islamic Stat traces the history of ISIS’ theology from hadith locating the apocalypse in Dabiq through al-Zarqawi and al-Baghdadi to the loss of much of the group’s territory and the expansion of its reach via recruitment of individuals and cells in the west.. leaving little doubt of the “alternate legitimacy” of the group’s theological claims. Graeme Wood‘s Atlantic article, to which Prof Dawson refers us, is excellent but way shorter and necessarily less detailed. As their parallel titles suggest, Trump’s decision to move the US Embassy in Israel to Jerusalem — which received a fair amount of press at the time that may have mentioned such a move would please his evangelical base, but didn’t explore the theology behind such support in any detail — has profound eschatpological implications. Julie Ingersoll’s book, Building God’s Kingdom: Inside the World of Christian Reconstruction, is excellent in its focus on the “other side” of the ceontemporary evangelical right, ie Dominionism, whose founding father, RJ Rushdoony was a post-millennialist in contrast to La Haye and the Left Behind books — his followers expect the return of Christ after a thousand year reign of Christian principles, not next week, next month or in the next decade or so. Sadly, the Dominionist and Dispensationalist (post-millennialist and pre-millennialist) strands in the contemporary Christian right have mixed and mingled, so that it is hard to keep track of who believed in which — or what! All the more reason to be grateful for Prof Dawson’s emphasis on the importance of religious knowledge in strategy and policy circles. Let doctrine (theological) meet and inform doctrine (military)! as we say in the land… "life imitates parody." Not like me, not like my sons, btw. Reality no longer has the time to take on the appearance of reality. It no longer even surpasses fiction: it captures every dream even before it takes on the appearance of a dream. Despite his modest comments to the contrary, David Ronfeldt has in fact been posting up a storm on his Materials for Two Theories blog, bringing us up to date with his readings on tribalism as the key aspect of his TIMN (tribes, hierarchical institutions, markets, and networks) theory. Just as I keep harping on the significance of — and our tendency to overlook — religious and particularly apocalyptic drivers across a range of problematic issues, so David relentlessly points to the significance of — and our tendency to overlook — tribalism as a key form in understanding many of those same issues. David’s two most recent posts are of particular interest. Richard Landes, in addition to his encyclopedic work on apocalyptic matters, is the proponent of a game theoretical approach to the Israeli-Pakestinian question with considerable overlap with David’s focus on tribalism — regarding the core issue as that of a clash between zero-sum and win-win players, in which concessions made by the win-win player, in expectation of reciprocal concessions, are taken as victories, requiring no re ciprocation, by the zero-sum player. Mark Weiner‘s entry is the one which comes closest to David’s TIMN work, and David accordingly uses parallels as a means of outside confirmation of certain of his own insights. Al-Monitor, What will Hamas charter change mean for Israel? Brookings, Is Hamas re-branding to orient towards Egypt? — I have just one point to make.. which I don’t believe any of thre above so much as mention..
That hadoth is no longer present in the new Document of General Principles & Policies. The most extensive account of the gharqad tree I’ve seen is in Anne Marie Oliver & Paul Steinberg, The Road to Martyr’s Square..
Their account is fascinating, well wporth reaing in full — see pp 19-24 at this link for convenience. 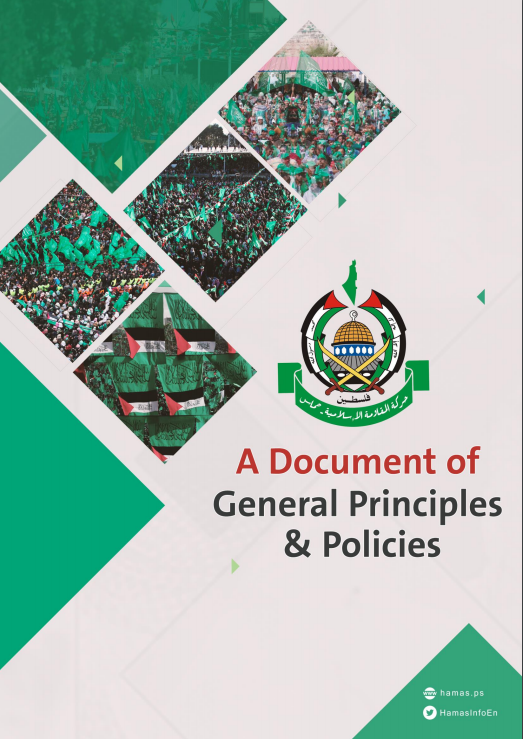 I amn uncertain whether Hamas has officially stated that the new Document of Principles replaces the original Charter, although that’s the impression one gathers from the rumors preceding its publication — but to the extent that it does, it is significant that the dog no longer barks, the Gharqad tree hadith no longer features in the new text. Significantly omitting the hadith, the new Document lacks the specifically apocalyptic, end times claim present in the Charter. The hadoth, of course, continues to exist — bin Laden was another who used to quote it –mbut at least in its central doctrinal document, Hamas seems to have shited from an explicitly apoca;lyptic Islamism to a more general position opposing the “Zionist entity”. To the extent that that’s a noteworthy shift, it’s at least a rhetorical de-escalation. I look forward to any comments on this omission from Richard Landes, Will McCants, Jean-Pierre Filiu, Matthew Levitt, Aaron Zelin, Ibn Siqilli, Tim Furnish, Anne Marie Oliver, Paul Steinberg and others..
God in His wisdom has decreed that all right thinking humans should circumambulate the Kaaba in Mecca if at all possible during their human lifetimes, so proclaims Islamic orthodoxy. The extreme heatwaves will affect Abu Dhabi, Dubai, Doha and coastal cities in Iran as well as posing a deadly threat to millions of Hajj pilgrims in Saudi Arabia, when the religious festival falls in the summer. The study shows the extreme heatwaves, more intense than anything ever experienced on Earth, would kick in after 2070 and that the hottest days of today would by then be a near-daily occurrence. David Cook, a historian at Rice University who studies Muslim apocalypticism, points out that the battles preceding the Day of Judgment will take place in modern Syria, with a final showdown in the year 1500 of the Islamic Hijra calendar, or A.D. 2076. 2076, or 1500 AH, is indeed a plausible date, but not the only possibility. 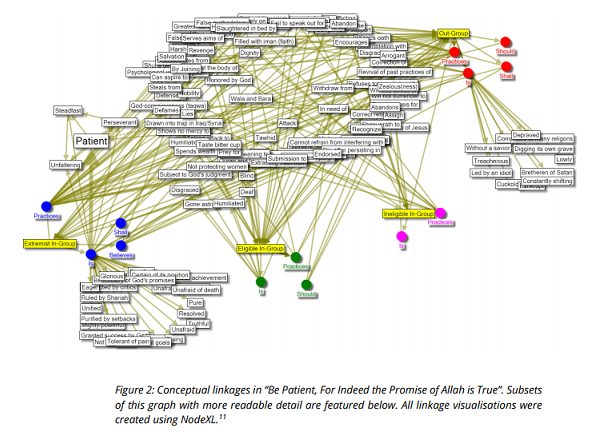 If there’s a second part to this post, it will express the extreme fierceness and driving passion of what Richard Landes calls “Active Cataclysmic Millennialism” — a category that includes both secular variants (Nazi, Marxist) and religious (Taiping Rebellion) — and how it ties in with the converging ecological and Mahdist timelines discussed above. Mecca uninhabitable, Hajj obligatory, and the arrival of the Mahdi imminent — it’s a potent brew to consider as we head towards the 2070s.